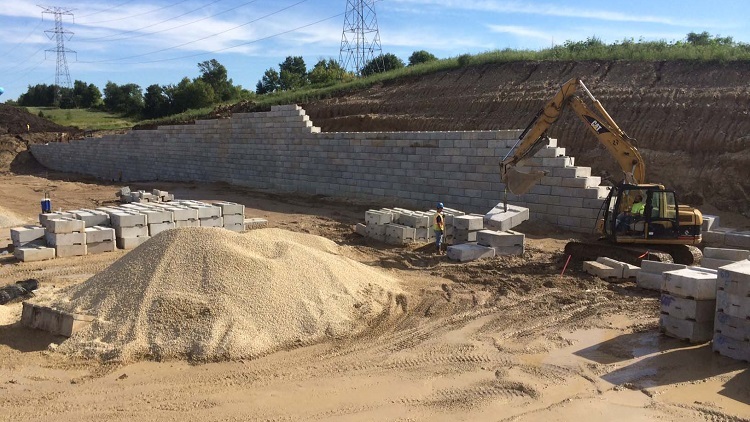 Big retaining wall blocks are selected for use on projects because of their massive size, structural performance, and quality aesthetics. 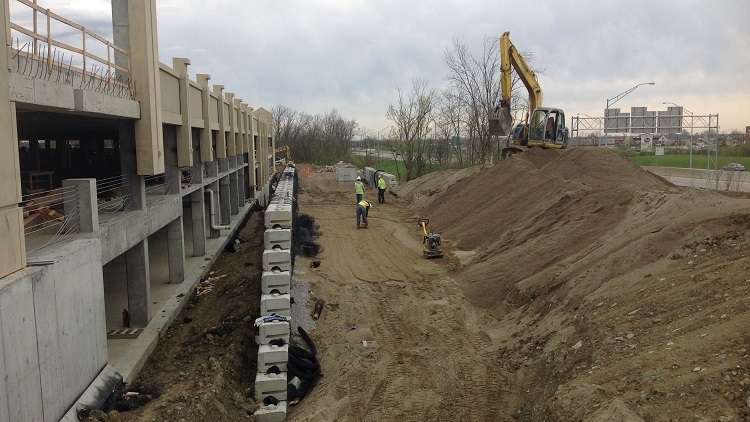 The use of big wall blocks allows retaining walls to be built up to 20 plus feet without using geogrid reinforcement. This method is typically used to save on excavation time and cost as well as in situations where the wall may be close to a property line or existing structures. Reinforcement geogrids can be used with big wall blocks also allowing the retaining walls to reach significant heights. The blocks are made of wet-cast, air-entertained concrete that gives them much durability in environments prone to the challenges of freeze/thaw cycles, road salts, or brackish water. The block units weigh anywhere from 1,500 lbs to over 4,000 lbs, but their large face square-footage accounts for fast installs with a skid steer or excavator to handle the weight.